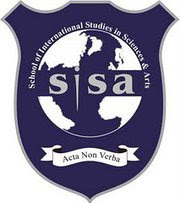 School of International Studies in Sciences and Arts (SISA) invites you to the 4th SISA Individual Debating & Public Speaking Championship 2011 (SIDPSC 2011) from 16th– 18th September, 2011. The competition is the only one of its kind in Pakistan. After the overwhelming response and success of previous year's events we are committed to making SIDPSC 2011 even better and more memorable! Requests to obtain invites for the event can be emailed to spaeds@sisa.edu.pk, after which the registration forms will be sent to the respective teams. We would appreciate it if you could complete and send the registration form to us NO LATER THAN 10th September, 2011. Each institution would be represented by ONE team which will comprise of a maximum of TWO participants for the English categories and ONE for the Urdu categories (if an institution want to register more participants it must inform the organizing committee latest by 10th September, 2011 so that necessary arrangements may be made in the championship draw). Each participant in the English categories would participate in a total of FOUR events. Three of these are compulsory for every participant i.e Interpretive Reading, Debating and Impromptu Speaking. The fourth could be either After Dinner Speech OR Persuasive Speech. Each participant in the Urdu categories would participate in TWO events. –Impromptu Speaking.and After Dinner Speech. Looking forward to welcoming you and your team(s) at SISA.